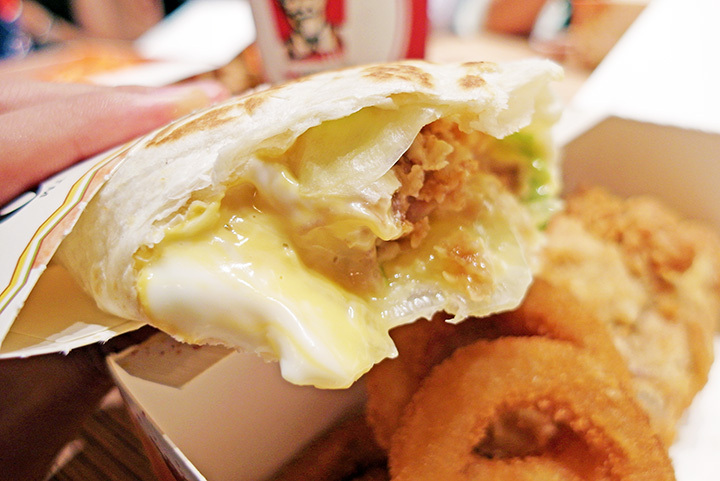 Our favourite Zinger burger and Bandito Pockett are now topped with the awesome KFC cheese sauce and a slice of cheese, giving it a satisfying cheesy twist! How awesome! 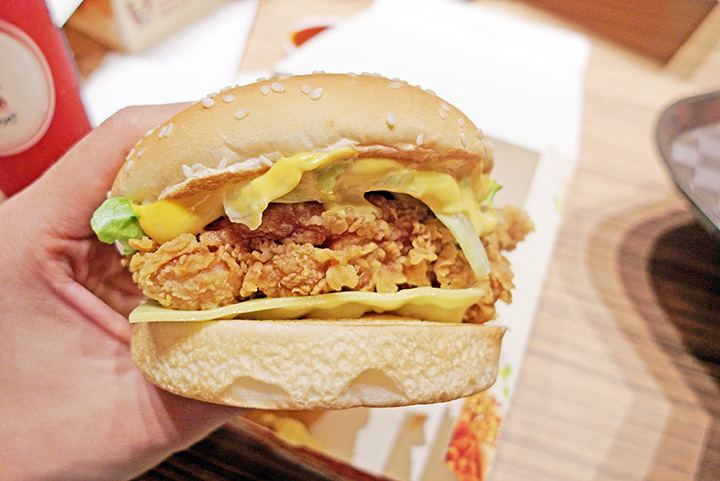 Was really excited when I first knew about it because I'm sure most of you guys here know that I love cheese, and now that both the Zinger burger and Bandito Pockett are filled with cheese, I have no reason not to devour both of them! Went down to give it a try with Qiuqiu at Alexandra Retail Centre the other day! 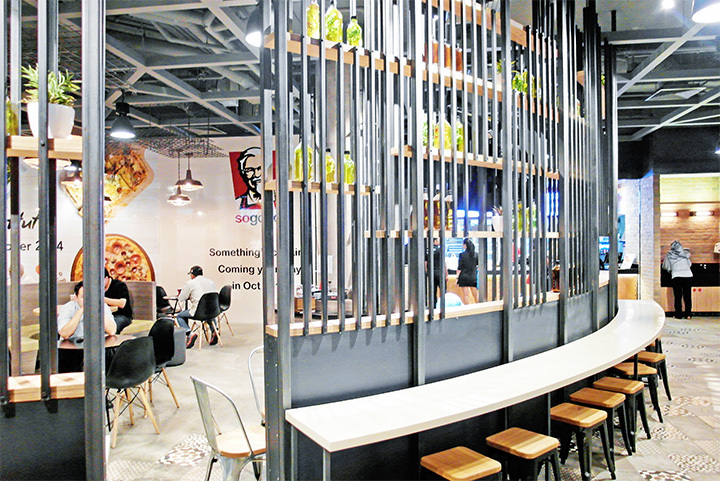 The interior design and layout of the KFC outlet at Alexandra Retail Centre is pretty different from the ones that we usually go to, and I love all the small little details that they add to the restaurant to give their look a twist. And the reason why we were here for! 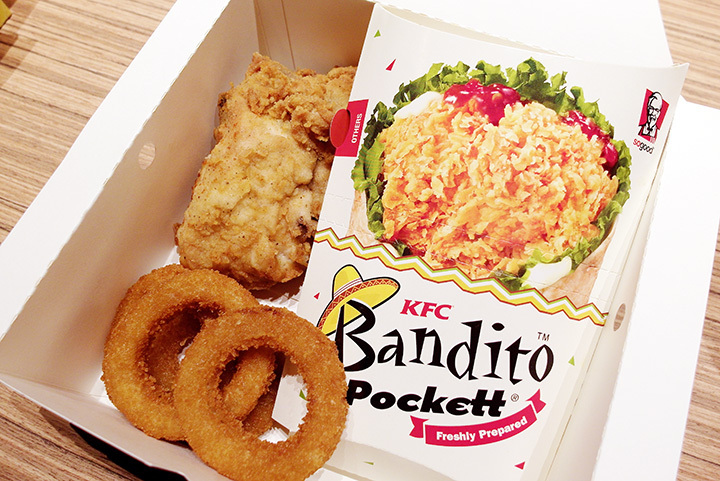 The Ultimate Cheesy Zinger & Cheesy Bandito Boxes! 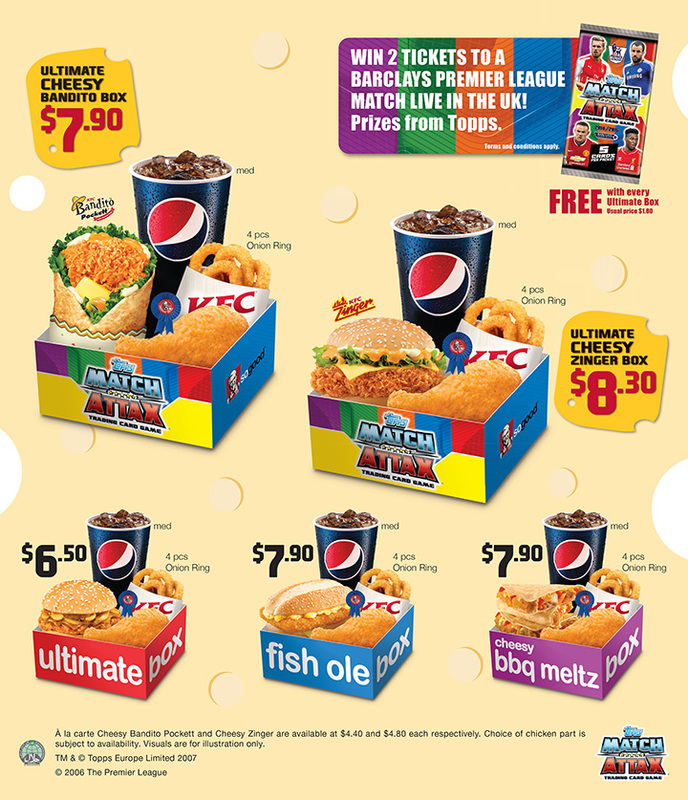 The Ultimate Box comes with either Cheesy Zinger or Cheesy Bandito + 1pc Chicken + 4pcs Onion Ring + 1 Medium Pepsi and also 1 free packet of Match Attax Football Trading Card, which allows you to win 2 return tickets to a BPL match LIVE in the UK (inclusive of 2 air tickets & 3 nights’ accommodation)! 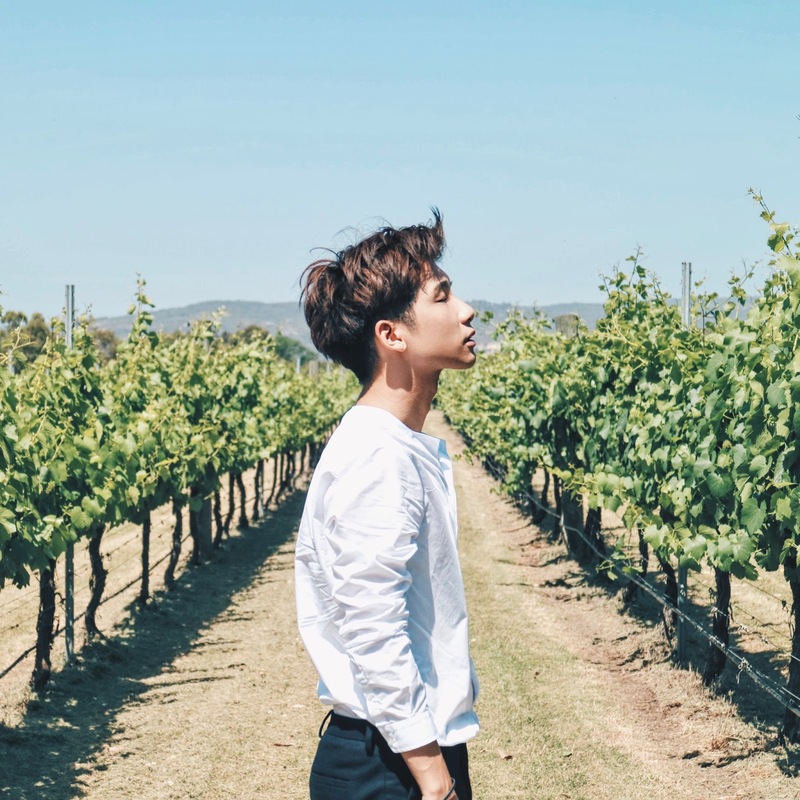 Which is really awesome, just imagine if I'm the lucky one! So all we have to do is to look out for the Golden Ticket in our free packet of Match Attax Football Trading Card, and we might be the lucky one that will be flying to UK to catch the BPL match live! It just cannot get better than this! Found a really nice seat with nice view to have my Ultimate Cheesy Bandito Box! 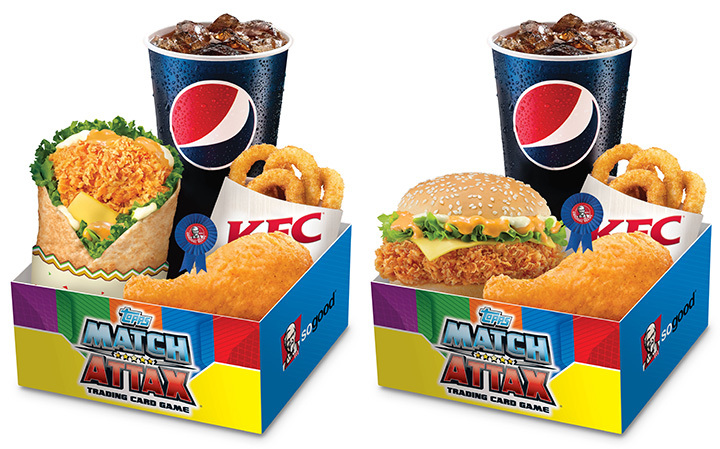 That comes with 1pc Chicken, 4 pcs Onion Rings and 1 Medium Pepsi (yes, and the Match Attax Football Trading Card too)! Personally I feel for both of the Ultimate Cheesy Box, I find it super satisfying and filling which is = value for money! Look at all the cheese that is inside my Cheesy Bandito Pockett! 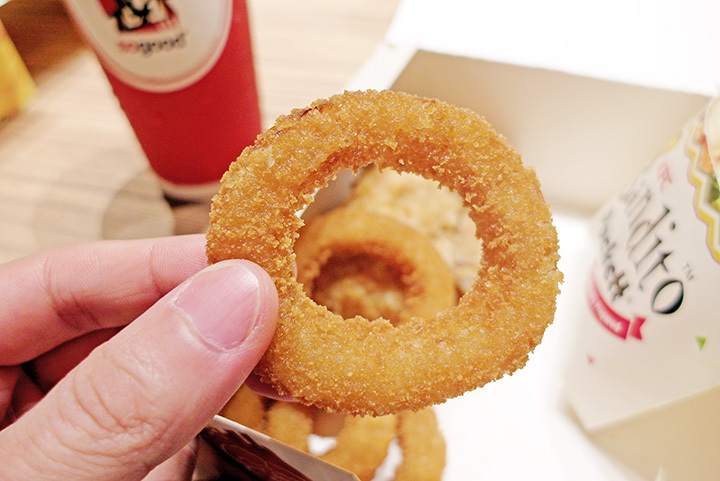 It's really delicious and I'm getting hungry now! Together with the cheese now, it definitely elevates the taste of Bandito Pockett. With Qiuqiu as we were about to finish our Cheesy Bandito Pockett! 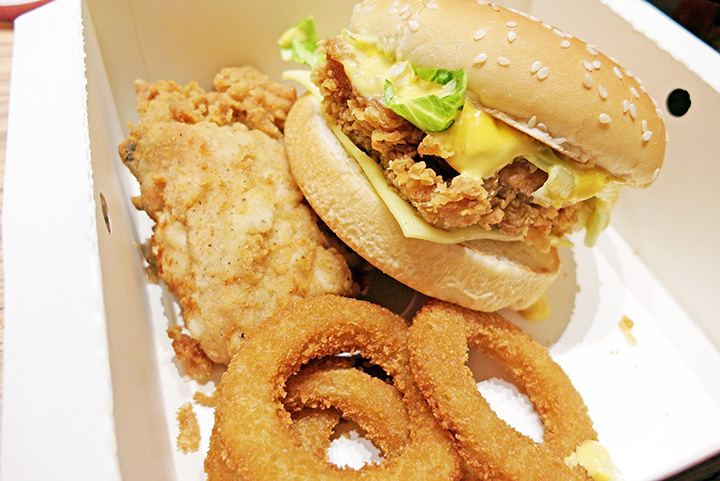 Next up, moving on to the Ultimate Cheesy Zinger Box (hahaha I sound like a glutton now)! Which also comes with 1pc Chicken, 4 pcs Onion Rings, 1 Medium Pepsi and a lucky chance to get the Golden Ticket to fly to UK! Luckily I'm sharing it with Madeline, because I'm already very full from finishing my Ultimate Cheesy Bandito Box earlier! 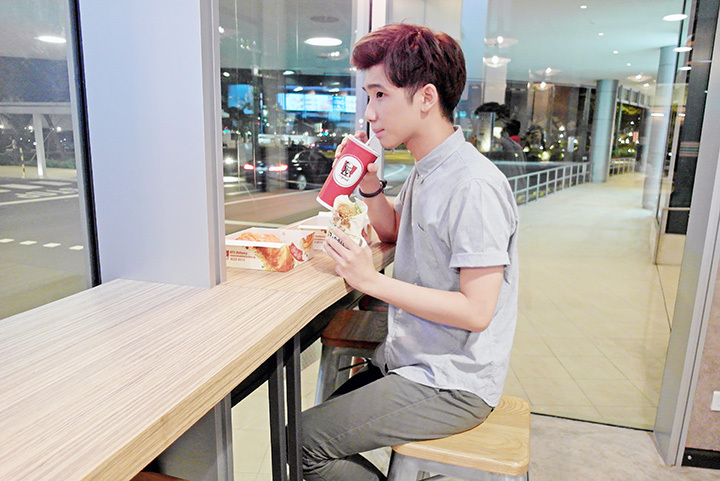 But in the end, I couldn't resist the temptation and had half of the Cheesy Zinger burger too! After reading and seeing all the mouth-watering pictures, don't you think it's time to try them out if you haven't! 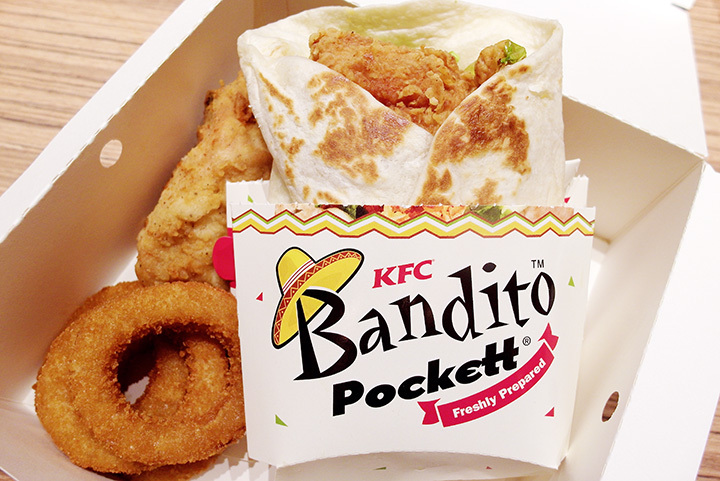 The Ultimate Cheesy Bandito Box is only $7.90 and the Ultimate Cheesy Zinger Box is only at $8.30!